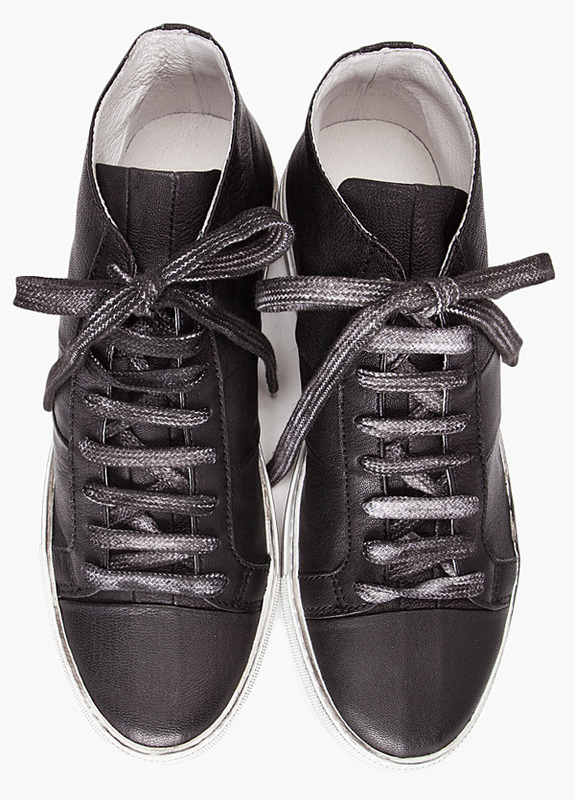 New from Parisian design powerhouse Surface To Air are these simple black pebbled leather sneakers. Fresh for their Fall/Winter 2011 collection, the Portugal-made mid-top shoes feature contrasting lace-up closure in dirty white, textured foxing at toe and heel, and tone on tone stitching. 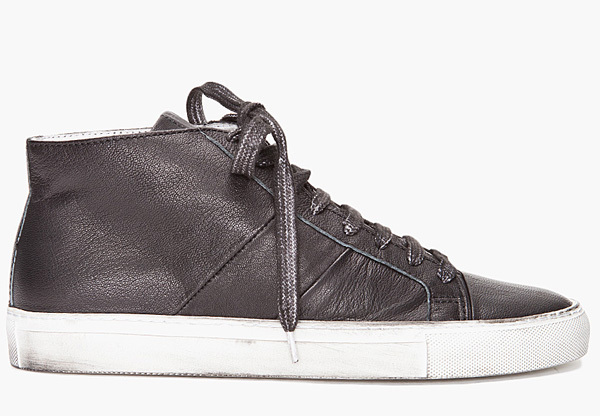 Pick them up at SSENSE for $365.